Monique was presented the award on Tuesday, June 19, 2018 at the Lexpert Zenith Gala at the Arcadian Court in Toronto. Competitive excellence, recent achievement, and outstanding contribution to the Commercial Litigation practice area. Notable contribution to her clients, peers, and community, including her pro bono work, community involvement, diversity action, cultural contribution, and her professional leadership and mentorship. Monique is an exemplary advocate. She has led complex proceedings from inception through trial in various areas of commercial litigation. She focuses on class actions, contract and shareholder disputes, civil fraud cases, injunctions, bankruptcy and insolvency matters, and securities and derivatives cases. She has an enviable record of success at trial in bet-the-company disputes. 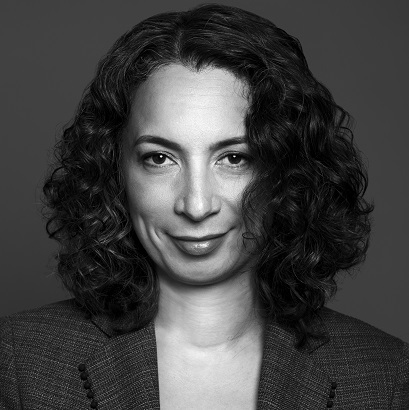 Monique also actively advances the Commercial Litigation practice as a member of the Commercial List Users’ Committee and as the inaugural Chair of the TAS Commercial Practice Group. Along with playing a variety of leadership roles within the firm, she is also an advocate for diversity and inclusion and is committed to actively fostering the development of lawyers who can follow in her footsteps. She also shares her knowledge and vast experience with students, peers, in-house counsel, and clients through various speaking engagements and publications. Congratulations, Monique, on the well-deserved award! This year’s Lexpert Zenith Awards celebrates Mid-Career Excellence. Winners will combine these two accomplishments: (1) recent achievement, benchmark or accomplishment in a Lexpert Practice Area and (2) notable contribution in social responsibility: this could include pro bono; community involvement; diversity action; cultural or environmental contribution; professional leadership, or the like. Lexpert defines mid-career to include lawyers having a first Call to the Bar in any Canadian jurisdiction between 1988 and 2003 inclusive. Winners may be drawn from law firms, corporate legal and government departments, academia and alternative legal careers.